It's been another one of those weeks, fellow FBF'ers. 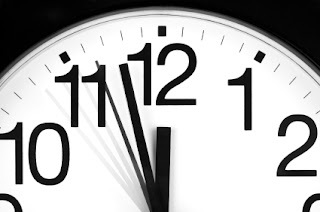 Your humble correspondent has been working nights for most of the week, so as a result I have fallen even further behind on my blues-related duties (writing reviews for Blues Bytes and writing this blog), so this will be another last minute edition of Friday Blues Fix. 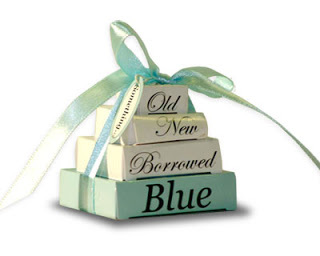 This time, we're going to go the Something Old, Something New......route, so without further ado, let's proceed. For Something Old, here's the ORIGINAL version of "The Thrill Is Gone," which was released in 1951 by Roy Hawkins on Modern Records. His style was similar to artists of the time like Ray Charles and Charle Brown and he struggled until he broke through in the early 50's with this song and another one called "Why Do Everything Happen To Me?" That song was inspired by a car wreck which paralyzed his right arm He wrote a number of songs that were later popularized by other artists. B.B. King actually recorded "Why Do Everything Happen To Me?" in addition to "The Thrill Is Gone." Hawkins' version made it to #6 on the R&B charts in 1951, but King's version has long eclipsed it. Hawkins' bad luck streak continued with King's release because he was not credited at the composer on early pressings of the record. Not much is known about the rest of Hawkins' life, other than he passed away in the early/mid 70's. Here's the original version of "The Thrill Is Gone." For Something New, check out this smoking hot track from JJ Thames' brand new release, Raw Sugar on Grady Champion's DeChamp Records. Regular FBF visitors met Ms. Thames a couple of years back when she sat down with us for Ten Questions. 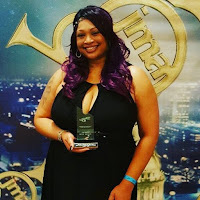 We thought she was on the way to becoming a big name in the blues world with her powerful and versatile vocals, but Raw Sugar verifies that great things are ahead for this wonderful and talented lady. Raw Sugar was produced by Eddie Cotton, who co-wrote many of the tunes with Thames and provides some exceptional guitar work throughout. A lot of the tunes deal with the effects and aftereffects of a failed relationship, and Thames really pours her heart into these tunes. She recently won her third consecutive Female Vocalist of the Year award at the 2016 Jackson Music Awards. 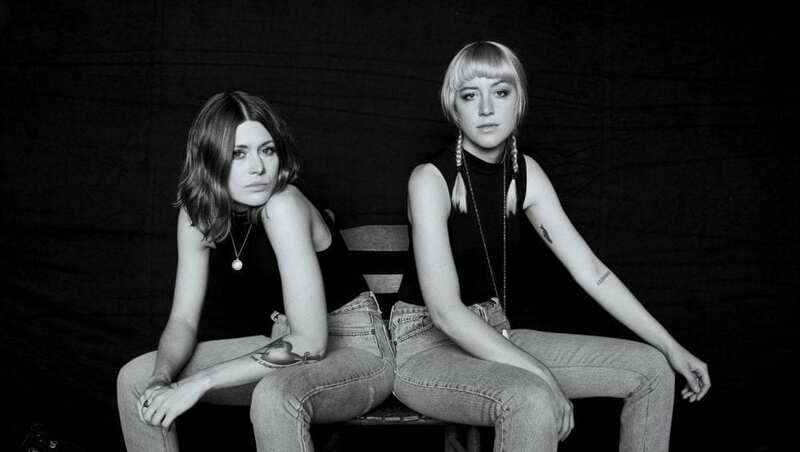 Check out "I'm Leavin,' just one of the standout cuts on Raw Sugar. For Something Borrowed, let's check out the above-mentioned Eddie Cotton from this year's Legendary Rhythm & Blues Cruise, as he covers the legendary Albert King's blues standard, "I'll Play The Blues For You." 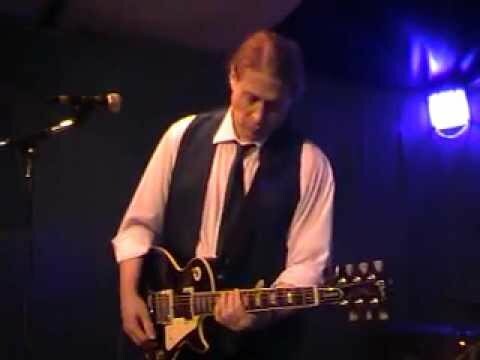 Cotton remains one of the best kept secrets in the blues, but this clip shows that he's quite a performer as a singer in an Al Green mode and one of the finest guitarists currently practicing. So sit down, take your shoes off and let your hair down while taking in one of the blues' finest performers. When you're done, head over to iTunes or Amazon or wherever you buy your music and check out some of Cotton's excellent recordings, including his most recent, One At A Time, which to these ears is his best studio release yet. For Something New, look no further than one of the genre's most familiar anthems, "Down Home Blues," from the late, great Z.Z. Hill, who would have been 81 years old today (September 30, 1935). 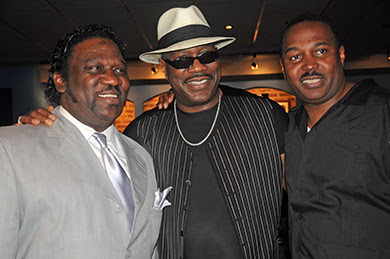 Hill recorded the song for Malaco Records back in 1982, and it became one of the best known blues songs ever and has become a regular part of many soul-blues artists' set lists. The album Down Home, which included "Down Home Blues," stayed on the Billboard Soul Chart for almost two years. Sadly, Hill didn't get to enjoy success for very long because he passed away in April of 1984 from a heart attack. Hill had been in a car accident a couple of months earlier and a blood clot formed after the accident, causing the heart attack. The calendar may say that Autumn is upon us, but the thermometer says otherwise down here in Far East Mississippi. Temperatures are still in the mid 90's this week and you can still break a sweat walking from your house to your vehicle during the day. Luckily, the nights are cooling off (to the low 70's), so it does feel a little more comfortable. Anyway, the first days of fall mean that it's time for FBF to take a look at some of the season's great new release. This week, we will look at six discs that definitely require a listen. We will be checking out many others over the next few weeks, so keep checking back for more. 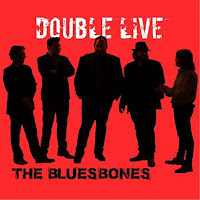 As always, expanded reviews of these albums can be found in current and upcoming issues of Blues Bytes, THE monthly online magazine of blues CD reviews. 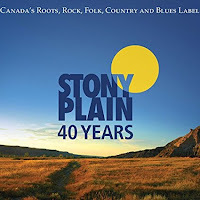 Various Artists - 40 Years of Stony Plain (Stony Plain Records): Every five years, Canada's foremost roots music label issues a collection of their finest moments from a catalog that spans blues, rock, soul, jazz, country, and folk music. It's always a great opportunity for listeners to hear their some of their favorites and discover a few previously unheard artists to add to their favorites. I've been able to catch the last few of these and have found some great music in the process. 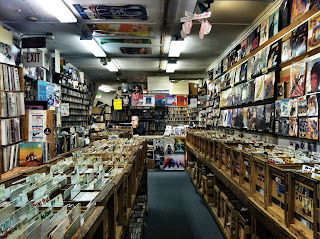 This time, the label offers a whopping three discs of music, two discs of songs from their impressive catalog......one disc is called "Singers, Songwriters, and Much More," and the other is called "Blues, R&B, Gospel, Swing, Jazz, and Even More." 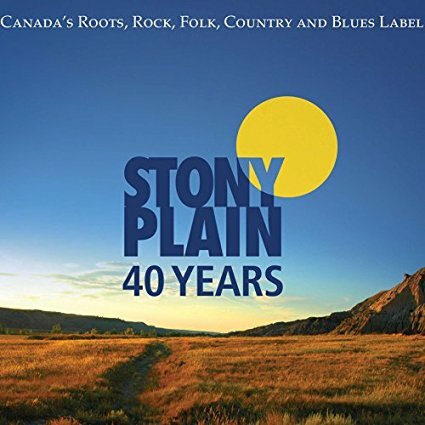 Blues fans will find a lot to enjoy on both of these discs with tunes from Duke Robillard, Colin Linden, Eric Bibb, Ronnie Earl, MonkeyJunk, Rory Block, Paul Reddick, Billy Boy Arnold, Sonny Rhodes, Joe Louis Walker, Maria Muldaur, and many more. 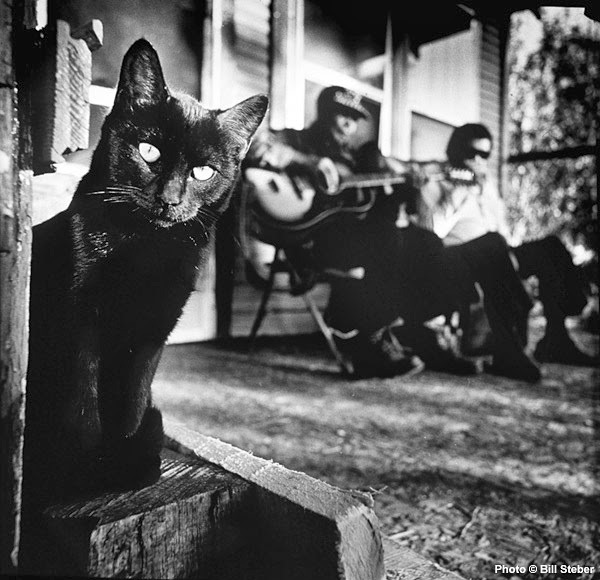 Non-blues types featured include Emmylou Harris, Rodney Crowell, Steve Earle, and Ian Tyson. The third disc is called "Rarities and Previously Unreleased Material," and the title speaks for itself. There are a dozen tracks that have seen limited release or were not used on their intended albums. There are two tracks from Robillard, a couple from Bibb, and a pair of live tracks from Muldaur. There's also an instrumental track from Big Walter Horton and a couple of tunes from a long-unheard album from the 80's that featured former Mississippi Sheik Sam Chatmon with a pair of teenagers (Colin Linden and Doc MacLean). Chatmon was 83 at the time of these recordings (originally on Flying Fish Records) and sounds great. There's a lot of great music on these three discs for blues fans and music fans in general. Check out these testimonials from three of their longtime artists, Duke Robillard, Kenny "Blues Boss" Wayne, and Ronnie Earl, plus a short history of the label. 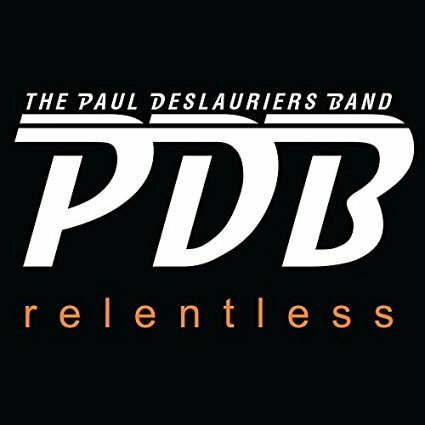 The Paul DesLauriers Band - Relentless (Big Toe Productions): This band took second at this year's I.B.C., and it's easy to see how that happened when you hear their second release. This hard-rocking trio just positively rips through this excellent ten-song set of original tunes. While they certainly know how to rock the house, they're also capable of enticing, hypnotic grooves in the North Mississippi Allstars mode, or even getting down-in-the-gutter funky on several tracks. Simply put, there's not a clunker in the bunch. DesLauriers is a powerful vocalist and guitarist and he co-wrote all of these tunes with longtime collaborator Alec McElcheran. 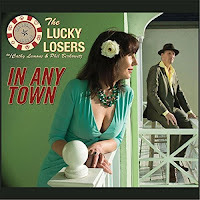 They can rock the house at will, but also know their way around the traditional blues. This is a remarkable set of blues and blues rockers that show that PDB just might take home the gold at next year's I.B.C. 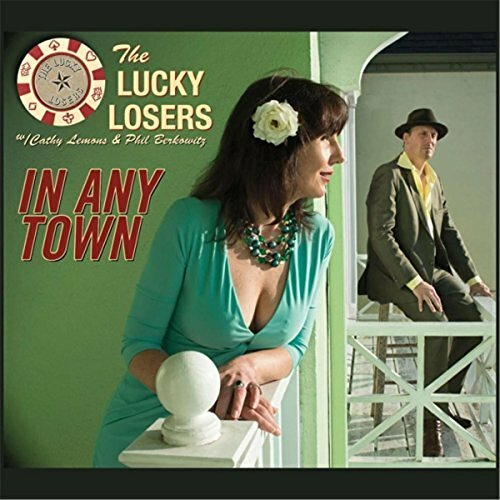 The Lucky Losers - In Any Town (Dirty Cat Records): Regular FBF visitors met Cathy Lemons and Phil Berkowitz during a Ten Questions With...post last year. Their first release, A Winning Hand, was just that and their follow-up is even better, with eleven tracks of blues, soul, and R&B. The pair alternate on vocals for several tracks and both do a great job individually, but I really like their rapport on the duets, with their playful banter and easy charm. As on their debut, Kid Andersen produces and he plays guitar, bass, and keyboards. Other guests include sax man Terry Hanck, guitarist Franck Goldwasser, and percussionist D'Mar. Berkowitz also provides some fantastic harmonica, but what really makes In Any Town stand out is the chemistry between Lemons and Berkowitz. It's pretty clear that these guys love working together and that making this album probably wasn't work at all for either of them. 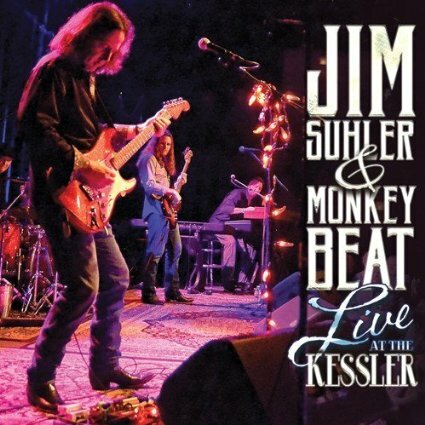 Jim Suhler & Monkey Beat - Live at the Kessler (Underworld Records): Folks may know Suhler from his lengthy tenure as lead guitarist for George Thorogood, but he's also fronted his own band for over twenty years, and they have an impressive set of recordings under their belt. 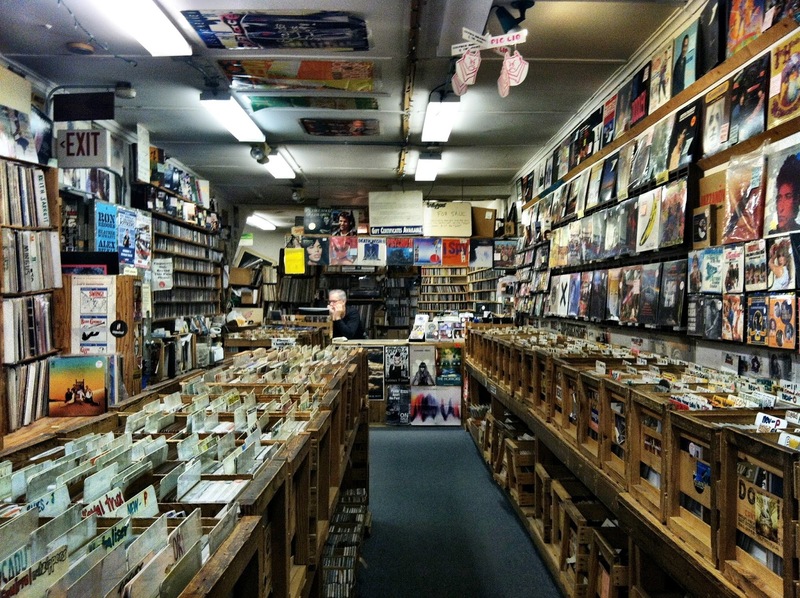 They specialize in blues-based rock n' roll and roots music, featuring Suhler's dynamic guitar work. 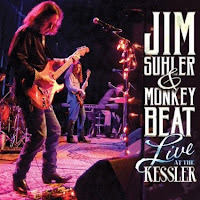 This live release was recorded at the historic Kessler Theatre in Dallas in late 2015, and the 15-song set includes several favorites from their last few albums, a track from Suhler's solo album, Dirt Road. There are a couple of new songs as well that are as strong as the old favorites. Suhler is just amazing on guitar and Monkey Beat are rock solid in support. For those unfamiliar with Jim Suhler & Monkey Beat, this is a great introduction to their catalog. For their longtime fans, this is definitely worth picking up. 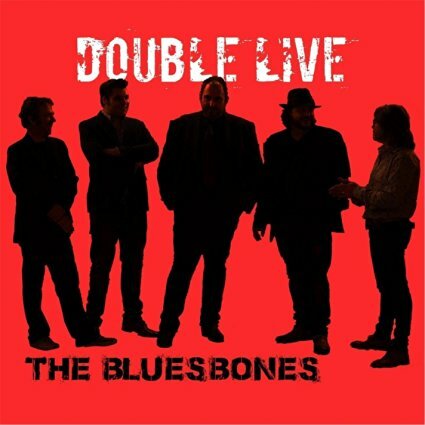 The BluesBones - Double Live: This Belgium-based quintet has built a big following overseas in Europe, blending the sounds of traditional blues with modern pop and rock influences. Their newest release is a live two-disc set, recorded at Hypestudio in Mechelen, Belgium. The band is equally adept at blues and R&B. Fronted by charismatic singer Nico DeCock, the band really tears through these songs, mostly originals, with some outstanding guitar work from Stef Paglia and keyboards from Edwin Risbourg. It adds up to nearly two hours of great music that's sure to satisfy any blues fan. Grady Champion - One of a Kind (Malaco Records): I've been listening to Champion for a long time and he continues to impress me with his refusal to run in-place. EVERY album he records is a marked improvement over the last one, even when I have thought there was no way he could top himself. This one, as you have probably surmised from the above comments, is the gold standard by which all of his future releases will be measured. 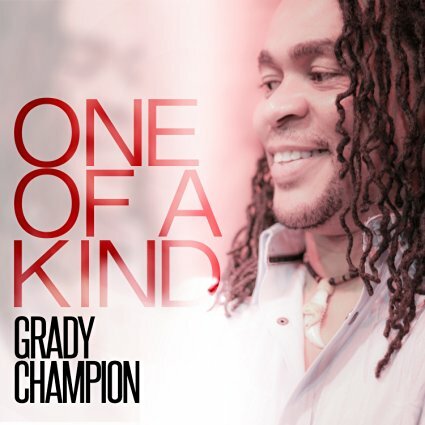 Champion is joined by his longtime collaborator, guitarist Eddie Cotton, and an all-star list of musicians who will be familiar to Mississippi blues fans, including Myron Bennett, Harrison Calloway, Jewell Bass, and the Jackson Horns. 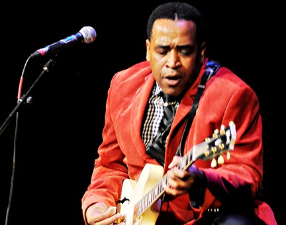 He also gets assistance from a pretty impressive trio of guitarist.......Theodis Ealey, Mr. Sipp, and Elvin Bishop. 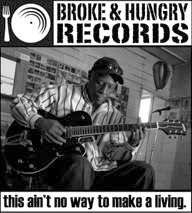 He wrote nearly all of the songs and their his best batch yet, mixing traditional blues with southern soul and R&B. There's no question that this one will figure in next year's BMA's if there's any justice in the world. It's been a pretty hectic week around here....lots going on at work and at home. I spent a couple of nights wrapping up reviews for the upcoming issue of Blues Bytes (hopefully, out next week). Usually, I work on the blog on Wednesday nights, but I had to work that night until midnight, so I'm scrambling around trying to get it done at the last minute. Since time is winding down this week, FBF will do a quick "old school" post, like in the olden days when I did if via email to co-workers. Most of the time, I did these in about ten - fifteen minutes before work and sent them out to give my friends as a little pick-me-up on the last day of the work week. I would usually send a couple of songs with a brief description about the song and artist. Let's get started with the amazing Bobby Radcliff, one of New York City’s powerhouse guitarists. Radcliff fell under the spell of the blues at a young age and even ran away from home at 16 to Chicago to meet Magic Sam. Radcliff’s style is reminiscent of Sam’s and Buddy Guy and the rest of those Chicago West Side guitarists and he’s got a killer voice to boot. He made some great recordings in the late 80’s and early 90’s, but has been away from the studio since then for various reasons. Radcliff still keeps a high profile on the club circuit along the east coast, and released a CD on his own label after a decade-long absence from the studio a few years ago. This year, he guested on several tracks of blues fiddler Ilana Katz Katz's Movin' On album (you'll be hearing more about her in a few weeks). This track is from his debut CD way back in 1989, which was called Dresses Too Short and it’s a powerful rendition of Dyke & the Blazers’ “Ugh!” If there was any justice in the world, blues fans would be singing his praises from every mountaintop. Another FBF favorite, Roy Gaines, has achieved some measure of popularity over the years since he’s recorded mostly in California after moving from the Houston, TX area as a fledgling guitarist taken in by the sounds of T-Bone Walker and determined to follow his path. Gaines played with Bobby Bland, recording some electrifying sides with the blues legend, and he did do some great recordings of his own in the 50’s, but sort of fell off the radar for the most part until resurfacing in the late 80’s on his brother, former Little Richard saxophone man and band leader Grady Gaines’ album Full Gain. Gaines also played guitar on several movie soundtracks, including The Color Purple (he also had a small role), and has appeared in many commercials for Coca Cola, Heineken, KFC, AT&T, Coors Light, and Krystal, over the years playing, of course, a blues man. He was seen pretty frequently in one of those arthritis medicine commercials that played during the Olympics back in the early 2000's, playing, of course, a blues man, but a very active one in this case as he jumps all over the stage. 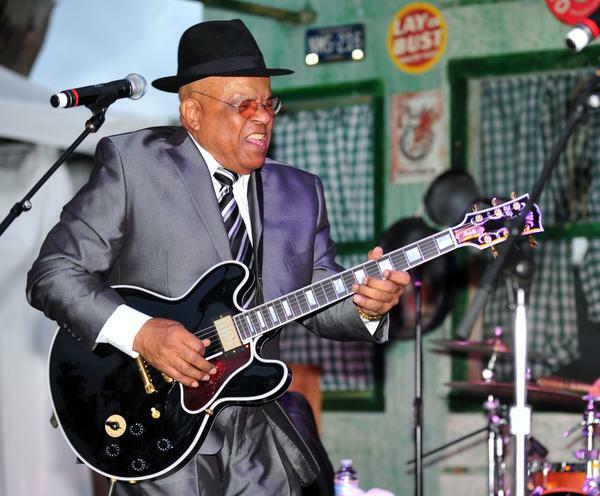 Though he’s now 82, Gaines still cuts a powerful figure on stage and is one of the best guitarist out there as he mixes blues, jazz, and sometimes even country. One of my favorite albums of his was 1999's I Got The T-Bone Walker Blues, where he paid tribute to his musical mentor. This song, one of my favorites, comes from that CD, a neat remake of Hank Williams’ “Honky Tonk Blues,” and features Gaines with steel guitarist Al Velasco and gives the old country tune the T-Bone treatment. It's pretty hard to listen to this one without at least tapping a toe. Interestingly enough, Gaines was managed at one time in his early career by Williams’ ex-wife and remained friends with her over the years. That's all for now. See you next week for your Friday Blues Fix. The song "Sitting on Top of the World," recorded in 1930 by the Mississippi Sheiks, is one song that has transcended the blues genre. It has become a standard of traditional American music. It has been recorded in numerous musical styles besides blues......folk, country, bluegrass, rock.....sometimes using the original lyrics, sometimes with modifications or additions to the lyrics. Actually, the lyrics of the song have an appeal to just about anyone who likes music. The lyrics deal with standing tall in the face of adversity, persevering through emotional down periods, surviving the setbacks that each of us face at one point or another during our lives. This week, we will take a look at the original tune and its musical evolution over the next 80+ years. 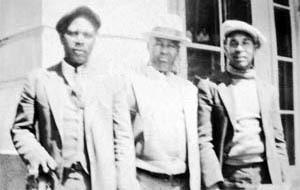 The Mississippi Sheiks were from Bolton, MS, just west of Jackson. They were mostly members of the Chatmon family, whose family patriarch had been a musician during slavery days. His children and grandchildren had carried on the musical tradition, among them were Armenter, Lonnie, and Sam Chatmon, along with Walter Vinson. 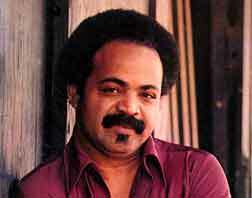 Armenter Chatmon was better known as Bo Carter, and went on to have a very successful solo career in addition to playing with the Sheiks. Walter Vinson and Sam Chatmon are usually credited as composers of the song. Vinson claimed that he wrote it one night after playing a white dance in Greenwood, MS. The group was just as popular with the whites in the Delta as they were with the blacks, so the song had enormous crossover appeal, and became a big hit. 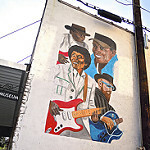 Although Vinson did write it, like many other blues songs of the era, parts of it were borrowed from other blues songs. Lines that appear in different blues songs are called "floating verses." The "peaches" verse dates back to Irving Berlin in the mid 1910's, and was used in several blues songs during the 20's, and later in songs from different genres. A song by Leroy Carr and Scrapper Blackwell, "You Got To Reap What You Sow," recorded in 1929, bears some musical similarities. The Sheiks recorded their version on Okeh Records in February of 1930. 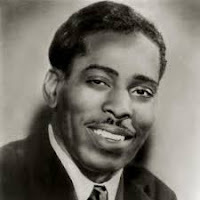 By the summer of that year, Charlie Patton had recorded a similar version, called "Some Summer Day," with modified lyrics, which certainly verifies the song's popularity at the time it was released. The song's crossover appeal was demonstrated just a few years later when, in 1934, Milton Brown, "the Father of Western Swing," recorded the song for Bluebird Records, as "Just Sitting On Top of The World," with his band, the Musical Brownies. The song became a favorite piece in the repertoire of most western swing bands. Another hit version was recorded in 1935 by Bob Wills and His Texas Playboys. The great Ray Charles recorded the song on SwingTime Records in 1949. He added a verse to the original, the verse about taking "Christmas in my overalls." Several years, Howlin' Wolf included this verse in his rendition of the song, which was recorded in 1957, and is probably one of the best known, and most covered versions of the song. The Wolf shortened it to three verses, using the second and fifth verses of the original and using the Ray Charles lyric as the second verse. Over the years, the song has been recorded by many other artists in many other genres and continues to be covered to this day. Here are a few other readings from artists you may be familiar with. Genre-busting guitar master Doc Watson recorded it several times, this version from 1962. Cream, the mid 60's British supergroup, recorded it on their Wheels of Fire album in 1968. Jack White recorded this old-timey version as part of the soundtrack for the 2003 movie, Cold Mountain. Willie Nelson.....from his 2000 Milk Cow Blues album. And finally, B.B. King......one of the highlights from his 2008 swan song, One Kind Favor. We've only scratched the surface here. "Sitting on Top of the World" was also covered by others, like Chet Atkins, Sonny Terry & Brownie McGhee, Chris Smither, Taj Mahal, The Seldom Scene, Bob Dylan, Bill Monroe, Harry Manx, The Radiators, James Blood Ulmer, Jeff Healey, and Robert Cray. The song continues to have universal appeal across multiple genres. Since my birthday is in the summer, I usually spend most of my free time, such as it is, listening to music I've ordered from Amazon. Since I'm just about impossible to buy for, nearly all of my family will give me gift cards, so I can pick up what I want. 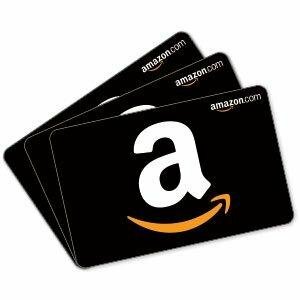 This year, I got several cards, plus I actually won a gift card from Amazon online at the same time, so I put a pretty big dent in my Wish List over the past couple of months. Some of them were repurchase of previous favorites and some were collections of some of my favorite bands from the past in several genres. I've already talked about several of my purchases: Lonnie Mack's Strike Like Lightning (a repurchase), Toronzo Cannon's The Chicago Way, Daddy Mack Blues Band's A Bluesman Looks At Seventy, The Bo-Keys' Heartaches By The Number, and The Allman Brothers Band's Live From A&R Studios. That was a pretty good run right there by itself, but I also decided to check out some vintage sounds, too. I've already talked about Blind Willie Johnson's Dark Was The Night, but I also found a couple of other classics, too. 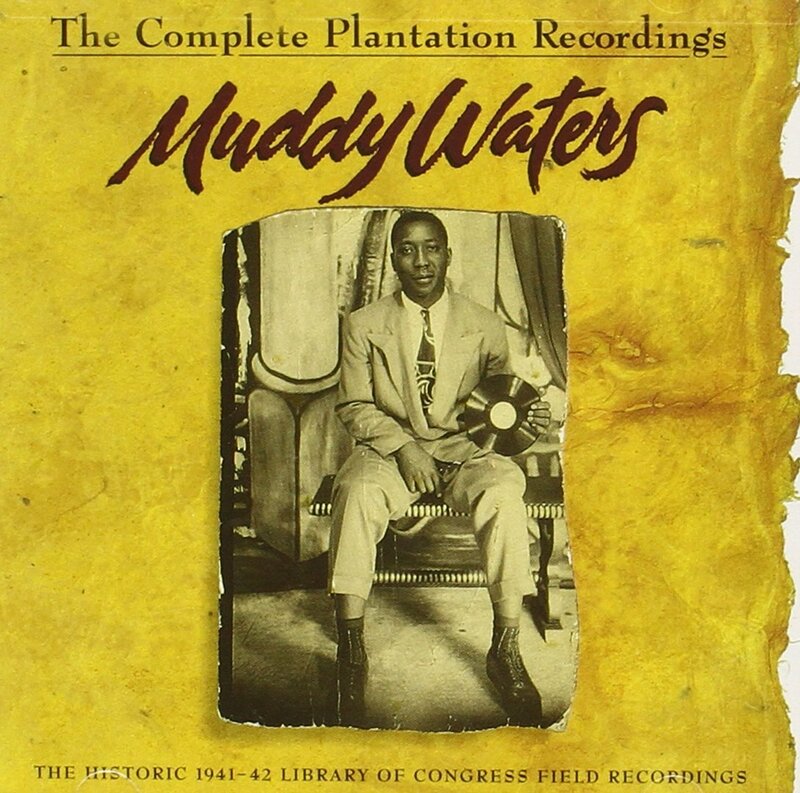 I had an old cassette copy of Muddy Waters' The Complete Plantation Recordings from when it was first reissued in the early 90's, but never managed to get a copy on CD until this summer. If you're not familiar with these recordings, made for the Library of Congress in 1941 and 1942, you really need to give these a spin, especially if you're a fan. Waters plays several solo tunes (some he would revisit later with Chess) and he also plays with the Son Sims Four. There are several interview segments sprinkled in, too. The sound is fantastic. 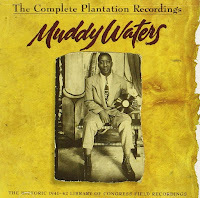 What you're hearing here is not just Mississippi Delta blues, but also the very beginnings of the Chicago Blues that became so prevalent in the 50's. It's a great history lesson for blues fans, but it's great listening as well. 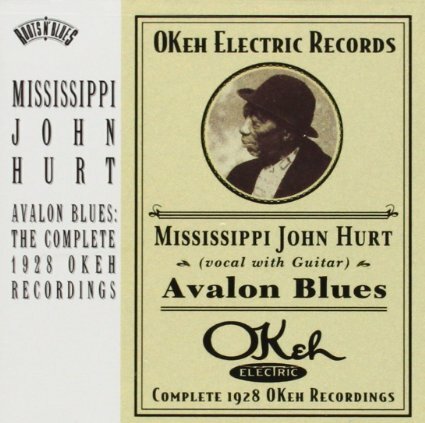 I also picked up a new copy of Mississippi John Hurt's 1928 recordings for Okeh Records, Avalon Blues. I previously had a cassette copy of these recordings when Yazoo Records issued them. Although the sound was pristine on the Yazoo edition, it's even better on this release from Columbia/Legacy from the mid 90's. We discussed Hurt's music during our Ten Questions with Sliding Delta author Ed Baldwin a few weeks back. His brand of blues was always warm, friendly, poetic, sometimes even beautiful. He would record many of these songs later on during his "rediscovery" period of the 60's, but it's really hard to top these versions, which have such good sound quality that it's hard to believe they were recorded nearly 90 years ago. 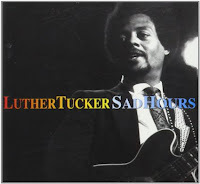 Luther Tucker is a name that may not be familiar to many newer blues fans, but he was a big part of the 50's Chicago blues scene. He played with Little Walter for many years and was guitarist on many of Walter's classic tunes, He recorded with many of the era's great blues artists......Otis Rush, Sonny Boy Williamson II, Jimmy Rogers, Muddy Waters, and James Cotton. He played in Cotton's mid 60's band for several years before forming his own band in the early 70's, after relocating to the San Francisco Bay Area, where he stayed until his death in 1993. Despite his blues bona fides, Tucker only released a couple of albums of solo material, with only one being issued before his death......Sad Hours. The eleven tracks really captures his versatility as a guitarist, and he shows some abilities as a songwriter and vocalist as well. His blues are on the funkier side, but he pulls that off very well. This one was issued on Antone's Records in 1990, and features artists like Mel Brown (keys), Tony Coleman (drums), Kaz Kazanoff (sax), Kim Wilson (harmonica), and Reese Wynans (keys). Tucker was by nature soft-spoken and shy, but the history of Chicago blues would be quite different without him and other great unsung artists who contributed to those stellar recordings. Sad Hours is a great chance for newcomers to hear a talent that they might miss otherwise. I also picked up a few new (to me) recordings that I'd been looking for. The first one was one that I'd been trying to find for over twenty-five years. 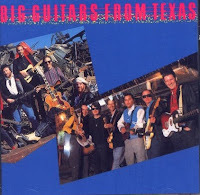 In the late 80's, I discovered several outstanding Texas guitarists, one of which was Don Leady, who fronted the outstanding band The Tailgators for a number of years. One of the first things I tried to do when I switched to CDs in the mid 90's was try and repurchase all of the Tailgators' recordings on disc....I still haven't done that because their first label, Wrestler Records, went out of business, and copies of those CDs have prices up in the stratosphere. Leady is one of several guitarist featured on the disc I'd been searching for, called Big Guitars From Texas, and I finally tracked it down this summer. 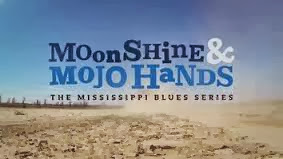 It features an incredible line-up of Texas-based guitarists.....Leady, Ray Benson, Evan Johns, Frankie Camero, Denny Freeman, Sarah Brown, Rick Rawls, etc...and the music goes from blues to surf to rock to swing to jazz to R&B to country to rockabilly and it's a joy to listen to over and over again, if you are a guitar fan. If you can find it, don't pass it up!! Sonny Landreth is another longtime favorite of mine. 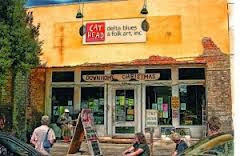 I first saw him backing John Hiatt in Memphis, as part of the Goners in the late 80's, then I discovered his solo music.....South of I-10 is one of those discs that epitomizes the sound of Gulf Coast music, combining blues, rock, zydeco, Cajun, New Orleans R&B and I still play it regularly, over 20 years after it was released. 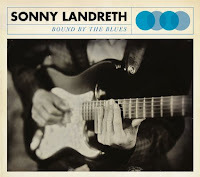 Landreth's latest CD was released last year, Bound By The Blues, and has been on my "Got to Have" list for a while. 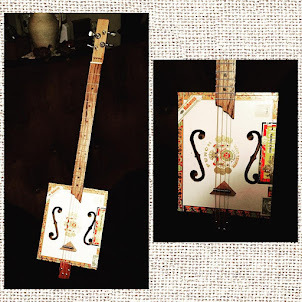 It's evenly split between covers and originals, and they all feature Landreth's exquisite slide guitar. It's the blues, basic and stripped down to its essence and was regarded as one of the best blues releases of 2015. I wish I hadn't messed around so long before buying it. 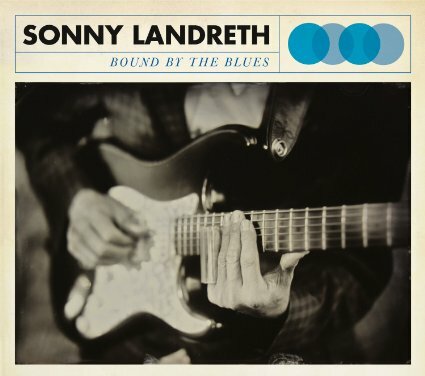 Sonny Landreth has released album after album of magnificent music and this one is no exception.....in fact, it's one of his best. Mike Mattison served as lead singer with the Derek Trucks Band, during the band's last few albums and currently serves as a vocalist with the Tedeschi Trucks Band. I have always been impressed with his warm, weathered, soulful vocals and was a bit disappointed that he was in a secondary role with TTB (though he does play a more prominent role in the band's latest triumph, Let Me Get By). 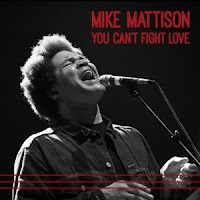 A couple of years ago, the singer released a solo album, You Can't Fight Love, that really shows he has a lot more range than indicated by his work with Trucks and Tedeschi. There are some really great soul and funk tunes here, and he also ventures into jazz and country territory a few times. There are some impressive original tunes as well, and Mattison also tackles TTB's "Midnight In Harlem," which he co-wrote, and knocks it out of the park. This one is a winner and would have been a great fit on one of FBF's Five Discs You Might Have Missed posts. Check it out! So, not a bad haul this summer for the birthday boy. There were several other discs that I picked up to from other genres, plus several books that will be discussed in future FBF posts, whenever I get finished reading them all.